The first reference to Lučenec in writing originates was dating back to 3rd August 1247 in the form of a charter of King Bela - Luchunch. In 1128 the district governor Lambert had a chapel built in honour of Our Lady in Lučenec. 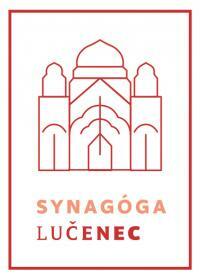 This is the first /not authentic/ information of Lučenec. From 1327 there is a reference of "VILLA SEU CIVITATIS LUCHUNCH" - "village or town of Lučenec" surrounded by a ditch. In the 30ies of 14th century Lučenec is mentioned as a plebany, i.e. a parish. In 1393 King Lewis the Great gave the land as a present to the House of Lossonczys and Lučenec /Lochon/ was donated to six Lossonczy brothers. In 1406 King Sigismund from Luxembourg confirmed their possession of Lučenec. In 1404 the name Losoncz is mentioned. After 1412 Lochonch is officially mentioned as a town /oppidum/ in the documents /Dr. Drenko/. Lučenec entered the military and literary history with the Battle of Lučenec on 7th September 1451, in which the troops of Ján Jiskra of Brandýs beat the army of Ján Hunyadi. In 1554 - 1593 Lučenec was under rule of Osman Turks. The town was made a part of the Fiľakovo sandzak. A Turkish list of tax-payers in town remained preserved. In those days Lučenec had about 1,300 inhabitants, one church, two parsons, there were also artisans and a mill with two wheels here. At the end of 16th century reformation arrived also in Lučenec. In 1590 the Roman - Catholic church was taken over by Lutherans and in 1608 by Calvinists. At that time most inhabitants converted to Calvinism. 17th century was very cruel for the town of Lučenec. After the Turkish rule several mighty groups from Habsburg Empire struggled for power. This fight resulted in burning down the town by the troops of Gabriel Bethlen in 1622 and 130 inhabitants were beheaded in the marketplace. Then also the charters confirming the town privileges burnt down. From 17th century guild manufacture was developing. Guilds of tailors and strapmakers, armourers, potters, dressmakers, smiths-locksmiths-cabinetmakers, button-makers and others. In 1695 Lučenec got the right to organise markets from Emperor Leopold I.
Lučenec used to be the centre of the Hungarian uprising against the Habsburgs from 1703 to 1711. The leader of this uprising was Francis Rákoczi II. There were various meetings of the Novohrad County here. From April 1705 the organized food-supplies for the kuruc army. In 1706 a new post train was established in Lučenec. From Lučenec citizens Pavel Ráday and František Tolvay were senior officers in the insurgent army. In 1709 there was a cholera outbreak in Lučenec. During this outbreak 300 inhabitants died. 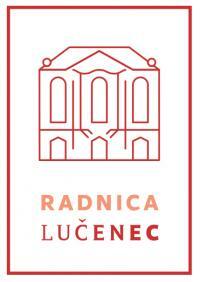 After 1755 there was a "re-establishment" of Roman-Catholic Church in Lučenec. In 1783 the Visitation of the Virgin Mary Church was built in the Baroque and Classicist style. In 1784 the Protestant church and mansions were built. At the end of the 18th and beginning of the 19th century Lučenec had a craft-trade character. New guilds were being established and the only bell-founding workroom in Novohrad was situated here. There were two grammar school /the Calvinist grammar school became the Lyceum of Philosophy, Theology and Law/. In 1844 the first children´s nursery was opened in Lučenec. It was founded by Františka Kubínyiová, the wife of Francis Kubínyi. She is also known for founding beneficiary association and foundations. The Russian army, led by General Grabbe, burnt down on Lučenec on 9th August 1849 in revenge. 344 houses were burnt down from a total of 376. The tanning plant was also burnt down. In 1869 the State Pedagogical Institute was established in Lučenec. Reconstruction of the town took about 20 years. Imre Vahot, a writer, published three volumes of a work called "Losonczi Phoenix", an account of the town. Lučenec, like a mythical bird "the Phoenix", rose from the ashes, and in the second half of the 19th century Lučenec achieved marvellous economic and social progress. There were developments in industry and transport /railway: a railway line between Lučenec and Budapest was built in 1871, between Lučenec and Balassagyarmat in 1896 and from Lučenec to Poltár to Kokava nad Rimavicou in 1901. Lučenec became a significant industrial centre of Hungary for several decades. During this period Lučenec was known as the first town for some industries in Hungary /a factory of the Schöller brothers since 1851 - a nickel and cobalt foundry, a shotgun pellets factory, gold and silver coating/. The town had its textile plant built in Opatová in 1868 / a wool processing plant/. There were factories of European importance - Sterlincht /1885/ and Rakottyay´s /1892/ enamel factory, which exported goods to the whole world. In 1870 the steam-mill, under the command of directors Lajos Grimm and Ulrich Baer, was opened. Canneries, sugar factories and distilleries started to work, a brewery, a yeast factory - the only one in Hungary - an artificial ice producing plant, a steam sawmill, and a Sorghum brush factory. Lučenec became the centre of trade and financing in Novohrad county. In 1872 the Novohrad People´s Bank - the Director general was Ádam Búsbak /Buschback/ - Lučenec Industrial and Commercial Bank, Slovak People´s Bank and General Bank were established. In 1891 Tuhár, a settlement Fabianka and a village Malá Ves were also connected to Lučenec. From 1870 to 1910 the number of inhabitants increased by 2,5 times up to 13,000. In the 19th century there were three hospitals built in the town. The Municipal hospital /1815/, after 1867 the Military hospital /200 beds, mostly syphilis was treated here/ adn the Railway hospital /54 beds/. In 1871 the statute for the County hospital was drawn up and in 1901 the Municipal hospital was built in Tuhár Square. Since 1923 the State hospital has been established in Lučenec. In 1884 the Municipal Park started to be established. In 1894 a new Town Hall was built. In 1910 the first cinema, Apollo, was established in the town. From 1919 Lučenec was a part of the first Czechoslovak Republic. During the period between the two world wars there was a reduction in industry. In Lučenec the "promenade" on the main street was very popular. People used to walk every evening and on Sundays. In the park there were concerts of military music and parties were also held at the Lučenec baths. Cultural events were mainly held in the Reduta building. From 1938 to 1944 Lučenec was a part of Hungary. After World War II Lučenec was a part of the Czechoslovak Republic and the recovery of the ruined economy slowly started. In February 1948, after the defent of the democratic forces, the dictatorship of the proletariat began and lasted until 1989. Since 1993, Lučenec became a part of the independent Slovak Republic.